People using the key ingredient in Hydroxycut® Gummies (C. canephora robusta) in a 60-day study lost an average of 10.95 lbs. with a low-calorie diet, and 3.7 lbs. in a separate 8-week study with a calorie-reduced diet and moderate exercise. View full study here. 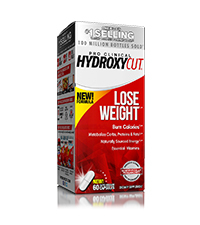 Hydroxycut® provides you with many options to help reach your goals, and these delicious gummies are no exception. 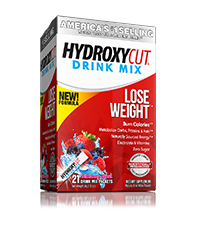 They easily mix and match with other Hydroxycut products, and if you’re on the go, they're the perfect substitute for your daily Pro Clinical. Now, your weight loss comes with a side of something extra. This tasty two-in-one gummy is a weight loss supplement, plus it has vitamins all in one. With 16 essential vitamins and minerals, plus a key ingredient for weight loss, this formula does double duty. Hydroxycut® Gummies are formulated with a scientifically researched key weight loss ingredient to help produce significant weight loss results. This formula is 99% caffeine free, ideal for those who are sensitive to caffeine. The addition of B vitamins helps to metabolize carbs, proteins and fats. Hydroxycut® Gummies are perfect on the go. Not only are they delicious, but the gummy format is also ideal for those who don’t like swallowing caplets. These super-convenient gummies contain 16 essential vitamins and minerals, including vitamin D plus a complex of B vitamins. Get the weight loss benefits of a key ingredient researched to show results in two scientific studies. Subjects taking the key ingredient (C. canephora robusta) for 60 days lost an average of 10.95 lbs. vs. the placebo group, which lost an average of 5.40 lbs. Both groups followed a low-calorie diet. In a separate 8-week study, subjects taking C. canephora robusta lost an average of 3.7 lbs. versus the placebo group, which lost 1.25 lbs. Both groups followed a calorie-reduced diet and performed moderate exercise. Natasha used the key ingredient in Hydroxycut® (C. canephora robusta) with diet and exercise, and was remunerated. Results may vary. People using the key ingredient in a 60-day study lost an average of 10.95 lbs. with a low-calorie diet, and 3.7 lbs. in a separate 8-week study with a calorie-reduced diet and moderate exercise. Natasha lost 30 lbs. with help from Hydroxycut. “I feel awesome! I’m stronger and fitter than ever. I feel confident, capable, strong and focused, like I can do anything I put my mind to! Hydroxycut® helped me get through the lows of my day. I wasn’t 100% sold on how the product would work before I started. But, after seeing my results, I know it works! The Gummies are my favorite. They feel like a cheat and are convenient when I’m out and about. It was hard work, but Hydroxycut gave me the energy to get there! My energy is on a whole new level now. My husband and I can run around and keep up with our sons, and we’re excited to be a great example for them.